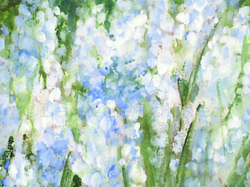 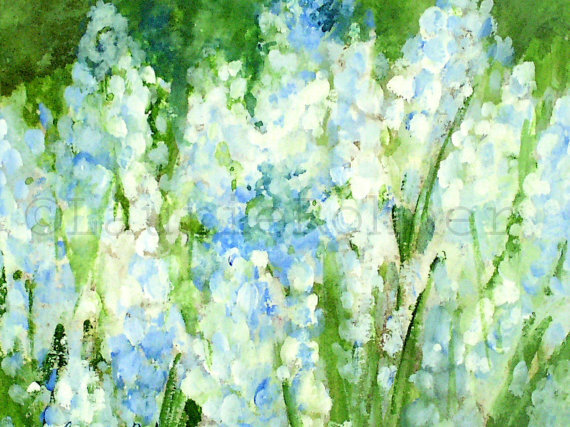 SOLD Botanical watercolor nature art original painting depicts light blue flowers in shades of creams, whites, ice blue, baby blue, and cobalt blue. 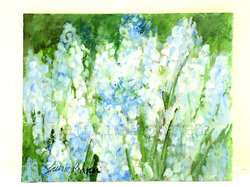 These are my favorite spring flowers grape hyacinth. 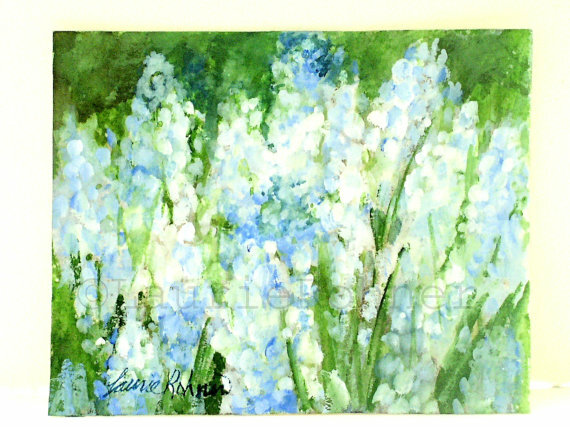 This miniature watercolor has a hint of the impressionism style. 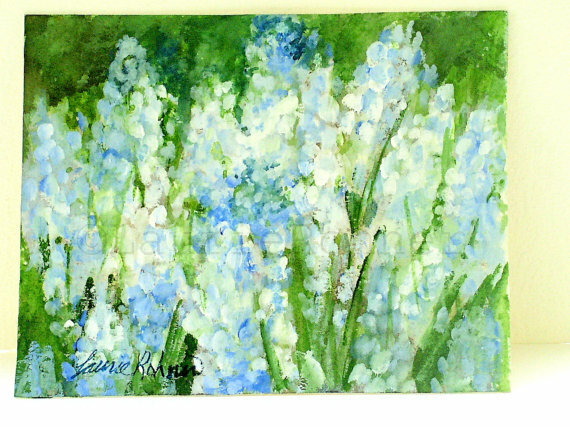 My nature art watercolor is bright and cheery capturing the energy of a botanical garden.